The Crew exercised the contract options on eight players from the 2018 roster and reached a new contract agreement with defender Lalas Abubakar. The Crew exercised the options of goalkeepers Jon Kempin and Ben Lungaard; defenders Alex Crognale, Connor Maloney, Gaston Sauro and Josh Williams; and midfielders Luis Argudo and Niko Hansen. The team continues to work with Argentine club Newell’s Old Boys to complete a deal for defender Milton Valenzuela. Unfortunately, the club declined options on goalkeeper Logan Ketterer; midfielders Ricardo Clark, Mike Grella and Cristian Martinez; and forward Adam Jahn. They will all be missed. In addition Crew goalkeeper Zack Steffen seems all but certain to complete a move to Manchester City, and may even be loaned elsewhere for the 2019 campaign. This year we are assembling gift bags for the senior clients of Gladden Community House because everyone should be able to celebrate at this time of year. We’ll be accepting soft goods and packaged toiletries at multiple Save The Crew business allies through December 6, 2018. Drop off your donations at Endeavor Brewing Co, The Flag Lady’s Flag Store, Premier at Sawmill Athletic Club, Kickmaster Footgolf, or Pursuit. Suggested items include the following: Chapstick, hair brushes, nail files, tissue packs, tea bags, mini calendars, pens, pencils, notepads, holiday mugs, new gloves, and new scarves. Get in the Holiday spirit and give back! As you all know, Save The Crew is much more than saving a soccer club. We at STC have been engaged in our ‘Thank-You’ campaign, in which we thank local officials who helped our cause, significant contributors to the movement, and business leaders. We also are thanking people through Community Assist volunteer opportunities around the city. Before Thanksgiving we prepared and served meals at the Van Buren Shelter. In a few weeks we will be at it again. Please sign up here to join us. There is only one time slot left so act quick! It will only be a few hours of your time, but will mean a world of difference to those we serve. Let’s show the world what the STC movement is all about! While we wait for details on the upcoming season, don’t forget that you can always take the Free 2019 Ticket Pledge. The pledge will allow the new ownership group to hit the ground running. Take the pledge if you haven’t done so already and if you have then tell your friends & family about it as well. After months of diligent work by the team, with contributions from Save The Crew business allies Rogers Krajnak Architects & 801 Creative, we shared our bright vision for a downtown stadium. 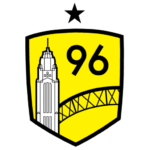 The Save The Crew stadium just took 2nd place in the Columbus Underground poll for Top Ten Architectural Designs of 2018.